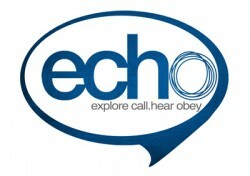 A year as a Peterborough Diocese echo intern will help you to hear God’s voice as you seek to discern his specific calling for your life and enable you to imitate Jesus as he calls you to follow him. Serve – in a local parish alongside other ministers and workers, get involved in a wide range of ministries and gain a practical understanding of parish life and work. Grow – in your discipleship, faith and character through personal mentoring and living in community with other interns. Interns receive a living allowance, free board and lodging. For more details contact Pete White.